Rock climbing and roller skating and golf...oh my! We've got your kid's birthday party covered. 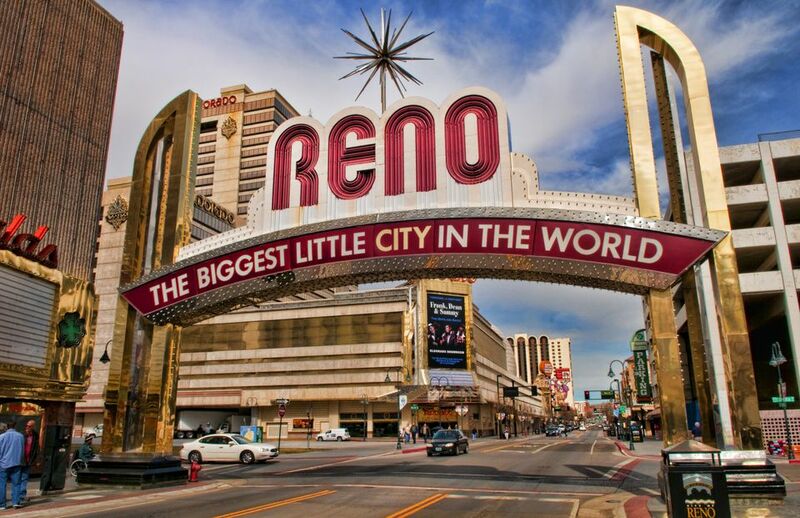 Besides these spots, there are rentable park shelters and pavilions in the Reno area that might be just what you are looking for. There are three party rooms at The Discovery and quite a variety of goodies and things to do that come along with a party room ​rental. If you like the idea of kids having lots of fun and actually learning something while they do it, The Discovery is the birthday party venue for you. Officially called the Terry Lee Wells Nevada Discovery Museum, the facility is located at 490 S. Center Street in Reno. Go to VSA Nevada for a kids' birthday party with an art theme. Included with the rental is a creative art project conducted by an experienced art teacher, and kids get to take their project home. The party spot is Reno's historic Lake Mansion, home of VSA Nevada. The house is located at 250 Court Street, Reno, on the corner of Arlington Avenue and a block south of the Truckee River. There is free parking in the Mansion's small lot. Facilities at Reno's Fleischmann Planetarium make for a unique birthday party setting. Parties include the use of the Planetarium Party Place; admission to a movie, star show, or science activity; and lots of fun with the Planetarium's exhibits. The Fleischmann Planetarium and Science Center is located at 1650 N. Virginia Street, University of Nevada. Chuck E. Cheese's in Reno is something of a classic for kids' birthday parties. There are three packages available—The Star, The Super Star, and The Mega Super Star. All will give you reserved table space for two hours. The local Chuck E. Cheese's is in the Smithridge Shopping Center, 5000 Smithridge Drive, Reno. Wild Island Family Adventure Park is the largest of its kind in the Reno/Sparks area. Kids' birthday parties at Wild Island can be customized, from simple gatherings to extravaganzas that include all of the park's many attractions including the Waterpark during the summer months. Wild Island Family Adventure Park is located at 250 Wild Island Court in Sparks. BaseCamp is the climbing venue at Reno's downtown Whitney Peak Hotel, home of the world's tallest climbing wall (164 feet!) that rises above Virginia Street next to the Reno Arch. Inside, a special kids' climbing area is available for birthday parties. The kids' climbing room is designed for children 100 pounds and under. BaseCamp also includes a large indoor bouldering area for bigger kids. BaseCamp Climbing is at 255 N. Virginia Street in Reno. There is plenty of parking right across the street in the hotel's own parking structure. Fun Quest is a huge video arcade inside Reno's Grand Sierra Resort. Kids into video games will love this place, which includes the latest games and a big laser tag arena. There are quite a few options for kids' birthday parties at Fun Quest. The Grand Sierra Resort is located at 2500 E. 2nd Street in Reno. The Boomtown Fun Center has a big arcade with plenty to do and takes care of pretty much everything except the birthday cake. Boomtown is located off I80 at exit 4, on the west side of Reno and next door to Cabela's. There are three different birthday party packages at Reno's Roller Kingdom roller skating rink. Each party includes a variety of goodies along with the roller skating. Birthday parties at Roller Kingdom are billed for 10 kids, with an additional charge per child for more. Roller Kingdom is located at 515 E. 7th Street in Reno. Magic Carpet Golf bills itself as Nevada's largest miniature golf course. There are three courses—two 19-hole courses and a 28-hole course. Birthday party packages include 19 holes of golf and a variety of other amenities, but you have to bring your own birthday cake. Magic Carpet Golf is located at 6925 S. Virginia Street in Reno. Birthday parties at Rock Sport Indoor Climbing are available on weekends. Rock Sport kids' birthday parties are an adventure in the popular sport of rock climbing and supervised by Rock Sport staff with all the proper safety equipment. Options available include pizza from The Blind Onion and a cupcake with edible carabiner from Bake My Day. Rock Sport is located at 1901 Silverada Boulevard, Suite 10 in Reno. For a birthday party with art and pottery painting, the Playful Potter is the place to go. There are a number of birthday party options ​available, including the Picasso Party Package and van Gogh Party Package. The Playful Potter is located at 1351 E. Prater Way, Suite 109 in Sparks. Jump Man Jump is an indoor facility full of inflatable structures for kids to jump and climb on. Reservations are available every day of the week and there are several birthday party options ​from which to choose. Jump Man Jump is at 335 Edison Way, Suite 2 in Reno. There are two Jump N Shout birthday party packages and a choice of add-ons. You bring the kids and the staff takes care of just about everything else. This is a fun and active place full of things like bounces houses, trampolines, a zip-line, basketball, and a rock climbing wall. Jump N Shout is located at 8543 White Fir Street, #D2 in Reno. Have your child's next birthday party with Reno Aces mascot Archie during a home game at Aces Ballpark in Reno. Birthday party packages include 10 game tickets, Diamond Dollars (good for food and merchandise at the ballpark), a special baseball for the birthday person, a visit with Archie during the game, and more. There are three packages from which to choose. Birthday parties at EZ AIR Indoor Trampoline Park can be scheduled any day of the week. The basic rate includes up to 10 kids, an hour of jumping plus time in a private party room with pizza, bottled water, plates, utensils, and napkins. You bring birthday party decorations and cake and treats as desired. All jumpers under 18 must have a signed parental waiver, so come about 15 minutes early. EZ AIR is located at ​95 E. Patriot Boulevard in Reno. Need 2 Speed is all about go-kart racing. This unique facility features a big indoor go-kart track and racing machines suitable for both kids and adults. Need 2 Speed is indoors for year-round comfort and the go-karts are electric (no gas fumes). There are three party rooms for rent and various packages available for racers of all ages. Need 2 Speed is located at 6895 Sierra Center Parkway in south Reno (off S. Virginia Street and a block south of Home Depot).